Please confirm the product is offered by our store MeterTo when purchasing, otherwise we can't ensure the quality and after-sale service. 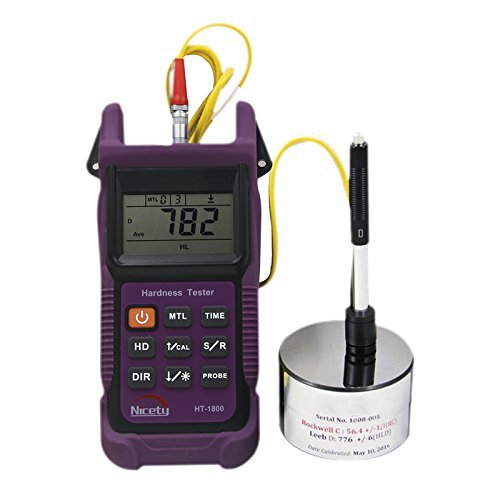 HT-1800 portable hardness tester can perform tests that easily convert to the most popular hardness scales, including Rockwell, Brinell, Vickers, Shore, etc. The lead time is about 3 business days, Fedex/DHL/UPS Shipping to USA is 4-7 days. If you have any questions about this product by MeterTo , contact us by completing and submitting the form below. If you are looking for a specif part number, please include it with your message.